We make true-to-life miniatures of existing premises and façades, for example of your own house, farm, shop, business premises, etc. 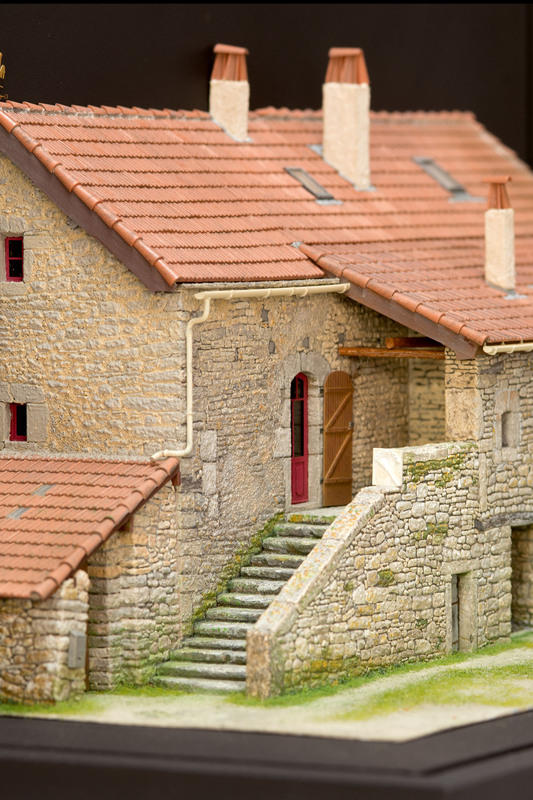 Reconstructions in miniature of no longer existing premises are also possible. Our miniatures stand out from average scale models and replicas because of the attention for detail and our aim to imitate reality as true to life as possible. Handicraft and patience are combined with a great thoroughness in scale-bound precision, working details and finish. The result is an exclusive and sustainable collector’s item in your home or company. 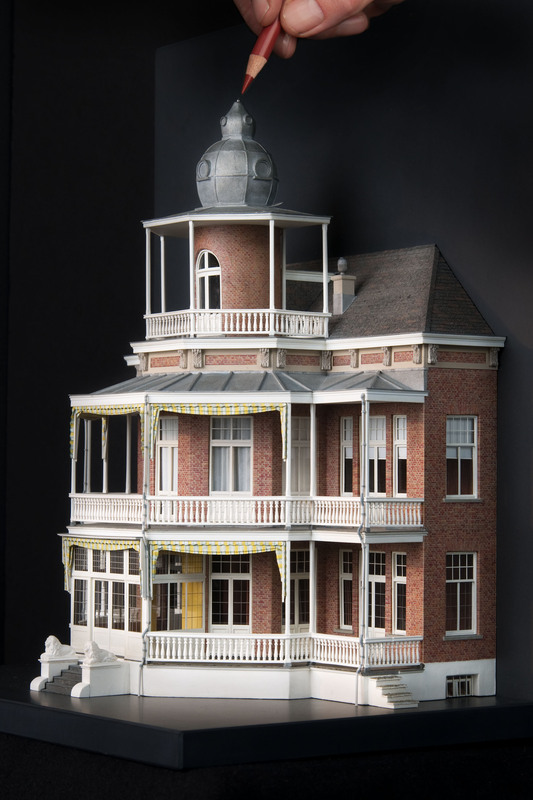 It is possible to build a miniature of only one façade. This form is not only suitable for premises that are built in between adjacent premises, but also if you would like a miniature of the most characteristic façade of your premises. 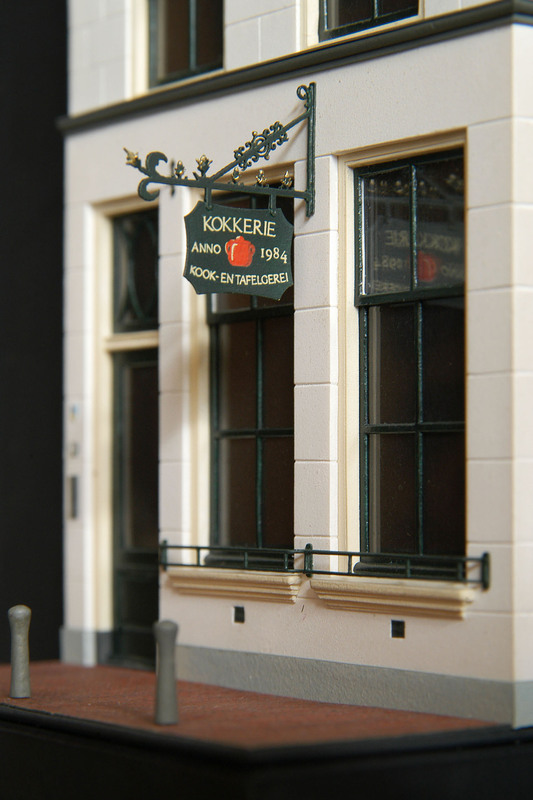 A façade miniature is mounted on or in a fitting display, so you can hang it on the wall. Until now we have always been built our miniatures for people who have special ties with and love for their house, shop, farm etc. This emotional involvement makes our miniatures very suitable as a personal or excellent company gift. The building time for a miniature obviously depends on the complexity of the object to be built. It ranges from 3 to 15 months for miniatures built so far. This means that a delivery time of more than a year is not exceptional. This information is especially important if you want to give the miniature as a gift for a specific occasion. In this case it is advisable to contact us on time. If you are interested in having a miniature built, you obviously want to know the costs. As you can imagine, the price greatly depends on the complexity and nature of the premises to be built in miniature. After you have sent or mailed us a series of photos of your house, we will get in touch with you to discuss the possibilities and your wishes, so we can give you an indication of the costs. The more details you show on the photos, the more realistic the price indication will be in relation to the final offer. So far miniatures have been created ranging in price from 2.000 up to 35.000 euros. If possible, we would like to make an appointment with you to visit and view the premises in question. During this inspection we thoroughly examine the outside of the premises. We also discuss the most suitable scale for building your miniature. This will roughly be between 1:60 and 1:90. After our visit you will receive an offer. For the Netherlands our inspection and offer are free and without obligations. However, when we have to travel abroad to make an offer, we charge travel and accommodation expenses. After our offer has been accepted, we take the details of the premises. In order to build your premises in the right scale proportions, it is absolutely vital to have exact dimensions. Existing construction drawings are very welcome, but not necessary. Because the miniature is first completely drawn on the computer, we take many measurements of the premises and of all its details. We also make our own photo series of the premises, so that we can examine every detail again in the studio. In addition, we establish the exact colours of the stucco and paintwork with colour samples. In case a visit to a premises abroad cannot be realized for whatever reason, we will provide you an offer based on the information you can provide by post or mail. This includes an explanation of your wishes, an extensive photo series, and information about the dimensions of the premises. 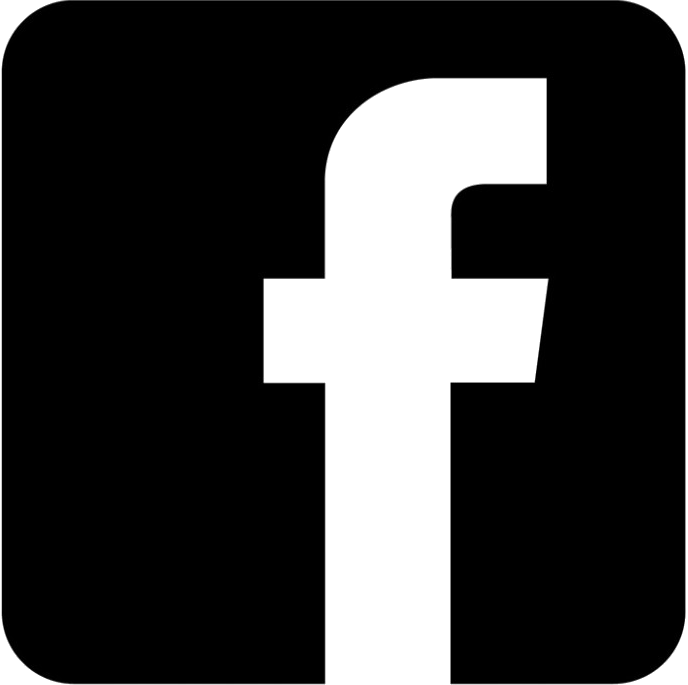 We then will discuss the possibilities and scale with you, and subsequently make an offer. After acceptation of the offer we rely on your collaboration during the drawing and designing process, we may need additional photos, dimensions and information about colours, in order to create the miniature as detailed as possible. Of course we will guide and help you through this process, if necessary.